Posted on May 11, 2016 at 12:00 pm. 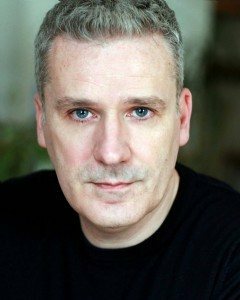 Head shots are an essential part of any professional actor’s arsenal as these are often the thing that first get a casting director interested in you for a role. Having professional-quality head shots is therefore vital when trying to break into theatre, film or television performance, but there’s more to a great set of head shots than just getting some snaps of your face from a couple of angles. There are numerous mistakes rookie actors can make with their head shots, some of which we see time and time again. Agents and casting directors see dozens if not hundreds of head shots every week, so the slightest mistake can quickly see your image consigned to the bin in favour of one of your many, many competitors. You need to make sure you don’t give them any reason to reject you out of hand. To make sure your head shots do the job and start getting you the auditions you need, there are some key mistakes you really need to avoid. We all want to look our best in our head shots. They’re the first impression casting directors and other decision makers will get of us and, after all, everyone is doing it, right? As tempting as it can be to engage in a little bit of Photoshopping to smooth out minor blemishes and help get your foot in the door, you must beware! If you start touching up your head shots, you can end up creating false expectations. If you get called to an audition, only for the casting director to see that you look nothing like your photo because you got carried away with making little improvements, they’ll soon show you the door. Remember, they’re looking for the face they’ll be putting in front of audiences, not an idealised version of it, so if your actual face doesn’t match the head shots that got their interest, you’ll be wasting your time and theirs. You will also potentially ruin your reputation, making it less likely you’ll get called to auditions in the future. It can be tempting to think you need to make yourself stand out by doing something unusual or striking in your head shots. Do not do this. 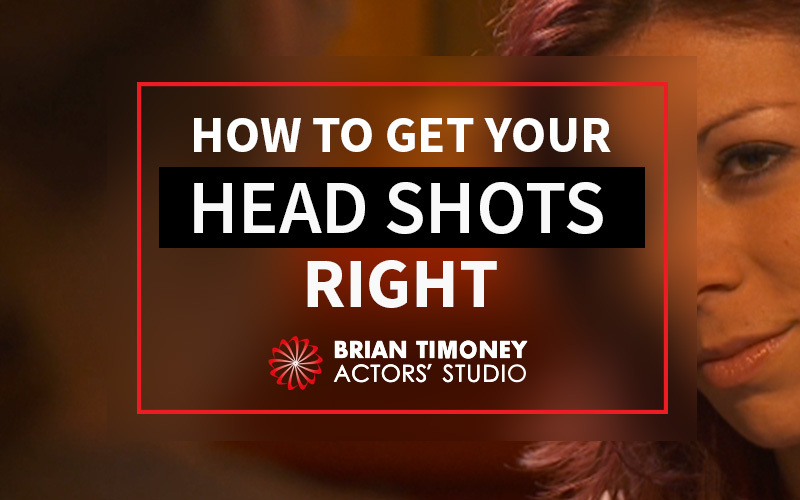 There is a classic formula for head shots that you really need to stick to. Your picture should be shot from the top of chest up so the focus is firmly on your face, with a neutral expression or small smile. Do not be tempted to put a hand on your face as you may have seen in some clichéd old head shots. The idea is to show what you look like in a simple, professional way, highlighting what you have to offer. Anything you do that deviates from the norm simply acts as a distraction and can make it harder for casting people to focus on your actual qualities. This also goes for excessive make-up or outlandish clothes which could pull people’s attention away from your underlying characteristics. Getting professional-quality head shots costs money, which can be off-putting to new actors trying to break into the field. With pretty much everyone having cameras built into their phones now, it can be tempting to think you can take your own head shots, or get a friend to do it, saving you a tidy sum. The problem is, even with the best camera in the world, you or your friend are unlikely to have the necessary skills to get professional looking head shots. A professional photographer who specialises in head shots will know all the tricks to get you looking your best, including selecting the right lighting, framing, make-up and clothes. They’ll also know how to get you into the right pose and bring out the qualities that make you unique, which ultimately are what a casting director is looking for. Finally, a true professional will know how to use the right filters, lenses and just the right amount of Photoshop to give your head shots a professional gloss. All this means you’ll give the right first impression when your picture lands in a casting director’s hands. A great set of head shots is just one of the things you’ll need to become a successful professional actor. 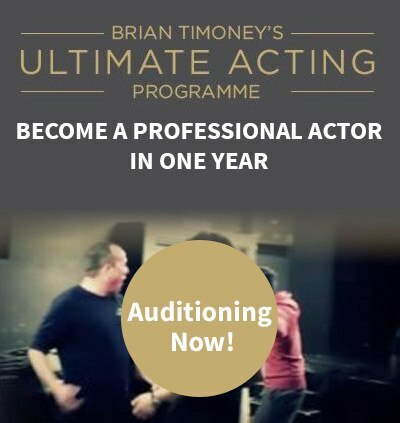 As well as working with the UK’s top method acting teacher, our One Year Ultimate Acting Program incorporates a career development package. This includes head shots, CV creation assistance and everything you need to take the method acting skills we teach out into the real world. Get in touch today to find out more.